Donald Trump is going head-to-head with one of the most famous presidents in U.S. history … in an art auction showdown. 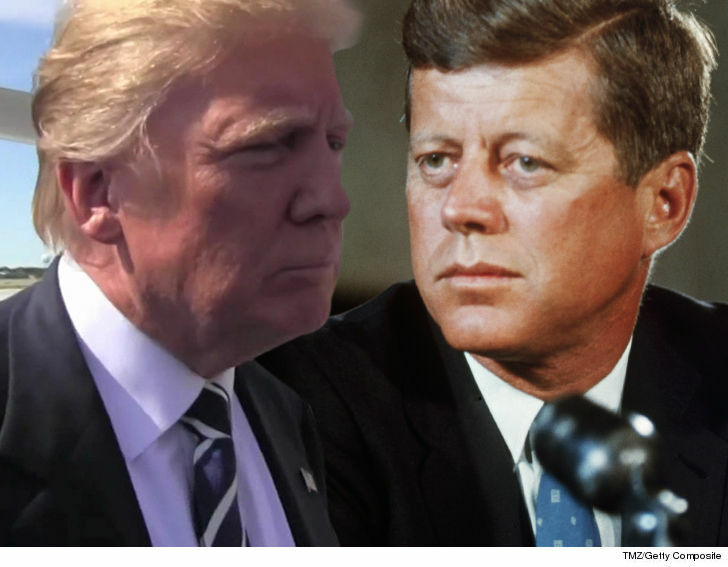 Both Trump and John F. Kennedy will have original artwork on display and up for grabs Dec. 2 at Heritage Auctions’ Americana & Political Memorabilia auction. The Prez’s piece is a detailed doodle of the NYC skyline … including sketched-in windows and yellow cabs. 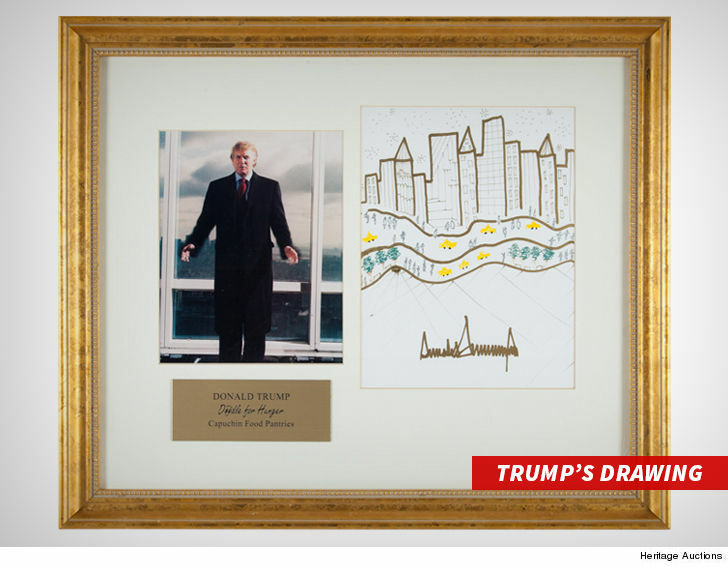 Trump’s sketch was donated to a charity in 2005 and is expected to sell for at least $15,000 … but that’s only a fraction of what JFK’s expected to fetch. Kennedy’s piece is slightly more sophisticated — an original oil painting from 1955 signed by the former Prez … which hung in Robert F. Kennedy‘s Hickory Hill home for years. 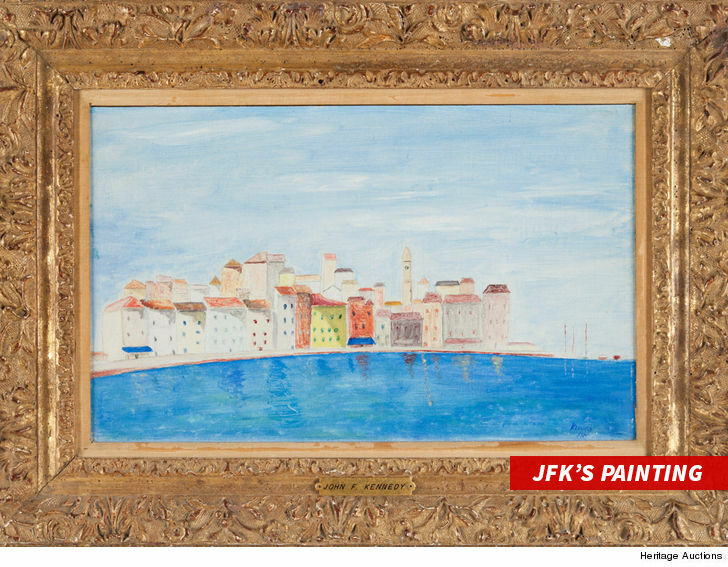 The artwork is believed to be one of just 2 known JFK paintings … the other ensconced in the Kennedy Library. It’s expected to fetch around $50,000. So we gotta ask — if you had the dough … which art would you buy?